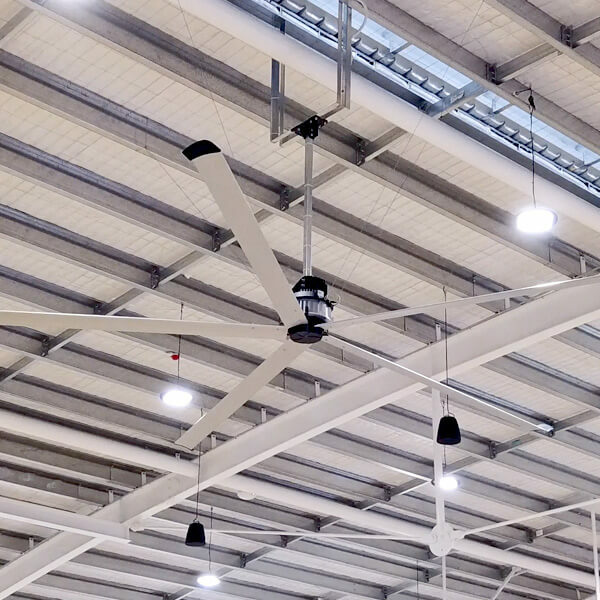 Designed in Italy and built to the highest standards, our HVLS fan can save energy costs and increase productivity. 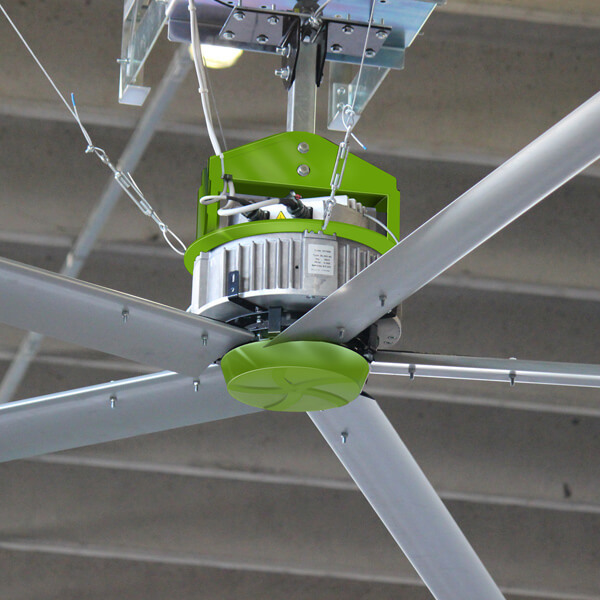 Designed to eliminate the build up of hot stagnate air by maintaining constant air movement. 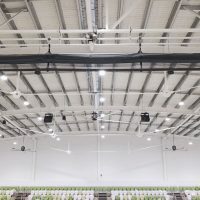 It creates a more comfortable indoor space for building occupants while lowering a building’s running costs and carbon footprint. The Silverback X range can be controlled with our easy to use touchscreen controller. The range includes multiple sized fans so that it can be used in a wide range of applications. 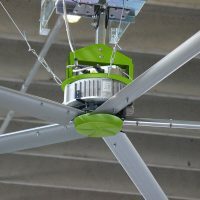 Select the right fan for the application. 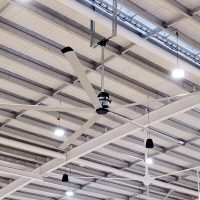 The larger the fan, the larger the area of impact. 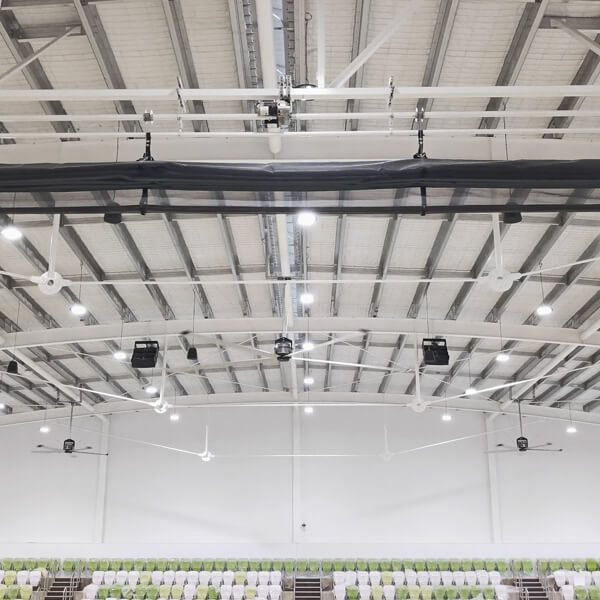 Price and lead times available on request for the HVLS40S, HVLS60S & HVLS70. 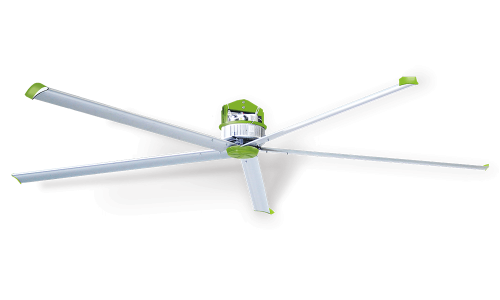 *Suitable for simple square or rectangular buildings only.